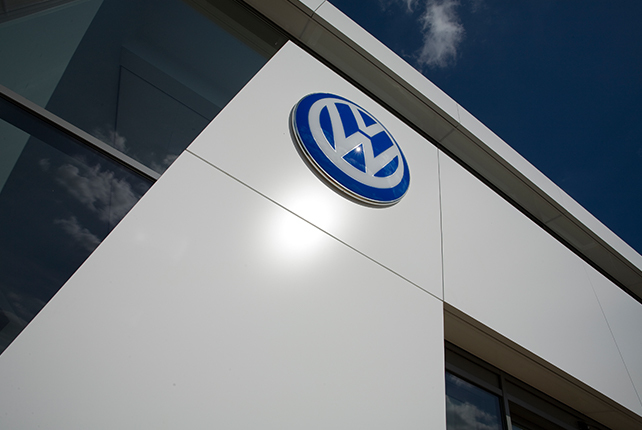 Matt black roof boxes - 340L and 460L capacity: Take the pressure off the boot when you next head away on holiday and pack all those essentials into one of these stylist Volkswagen roof boxes. In matt black, they not only fit a lot in, they look the business too. Available from your local retailer. 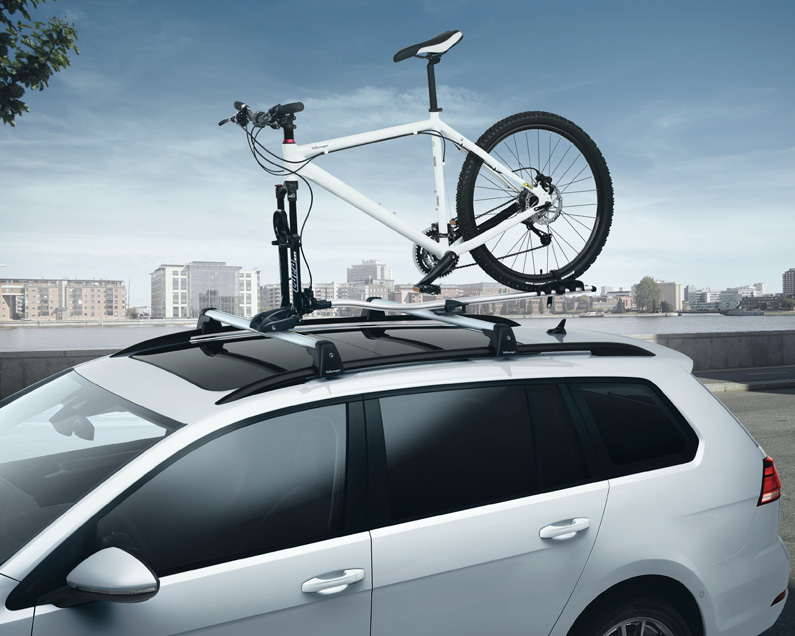 Bicycle holder: Safely transport bicycles on the roof of our vehicle. The wheel rails are aerodynamically designed, and ensure the bicycle is correctly positioned. 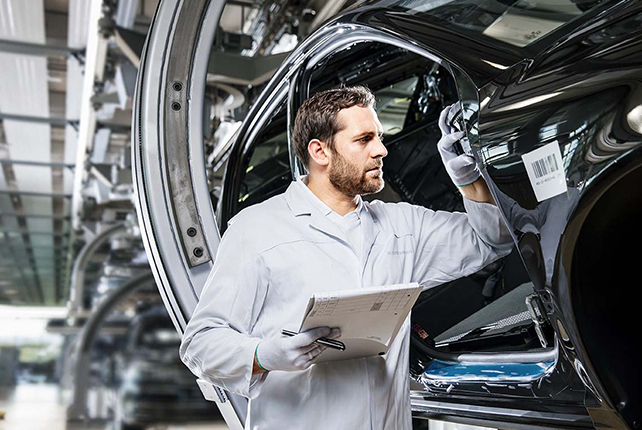 They enable you to use both hands to fix the wheels and frame. 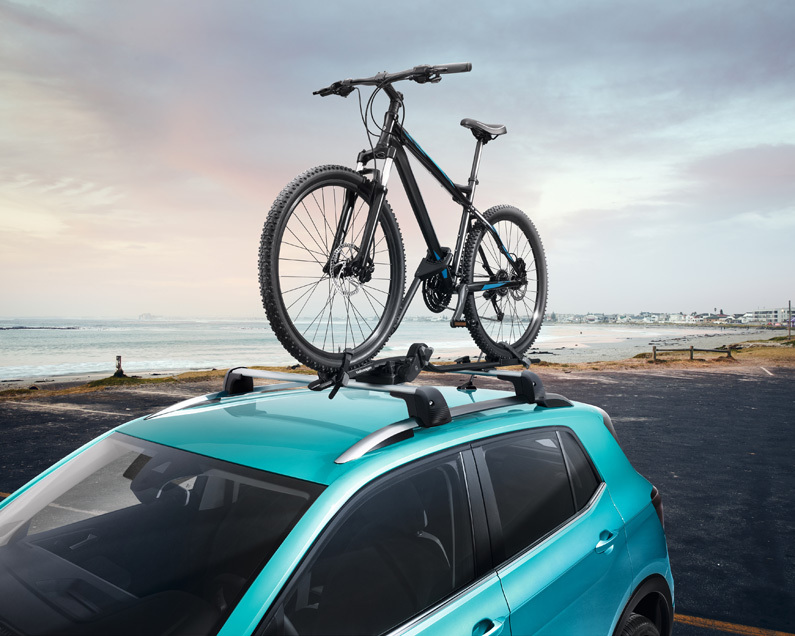 Thanks to the quick fastening system, the bicycle holder is easy to fit onto the roof bars, without using any other tools. The carrier also includes anti-theft protection. Suitable for maximum down tube widths of 80mm, bike weights of up to 20kg. Available from your local retailer. Fork Mount Bicycle holder: Bicycle holder for fork mounting with easily adjustable quick-fastening system for all types of bicycle forks. The adjustable quick-action clamping device for the rear wheel can be adjusted to different wheel sizes. With integrated adapter for bicycles with 20 mm quick release axles. Also suitable for bicycles with disc brakes. Bicycle lockable at the carrier and carrier lockable on the load carrier. Available from your local retailer. Was £112.00, now £100.80 (RRP) including VAT fully fitted. 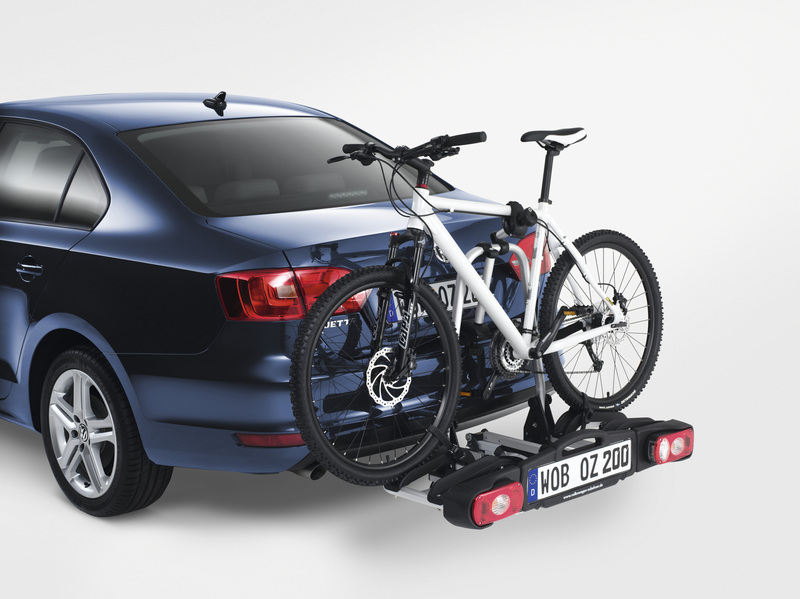 Tow Bar Mounted Bicycle Carrier: This clever carrier uses a super-simple quick release system to fit to your towing hitch, enabling you to transport three bicycles with a max weight of 54kg. It is the smallest, lightest and most compact in its class for the towing hitch and even with bicycles attached, accessing the boot is easy with the newly developed foot switch. 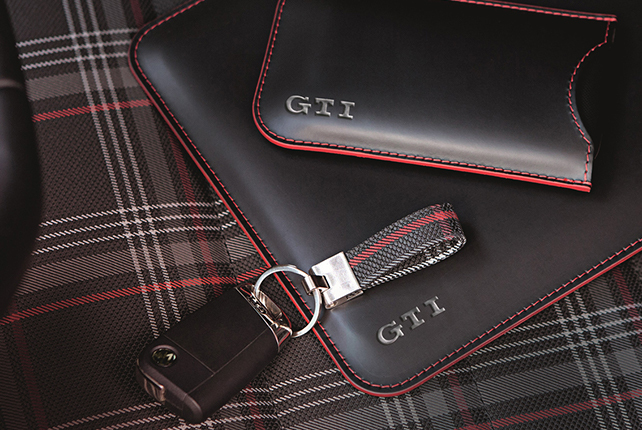 Its anti-theft locking device makes life difficult for thieves and when you don’t need it, it folds up into its carry bag – locking automatically – to neatly fit in your spare wheel well. Available from your local retailer. Was £555.00, now £499.50 (RRP) including VAT fully fitted. Roof Bars: Have a lot more fun when you arrive by throwing a lot more up top before you depart. These city crash-tested roof bars are essential when you want to fit a ski and snowboard holder, a bicycle holder, a useful roof box and more besides. Available from your local retailer. Prices were from £180.50, now from £162.45 (RRP) including VAT fully fitted. Click here to view our roof bar range. Term and conditions apply. Valid until 31st May 2019. Available at participating Retailers only. Offer may be varied or withdrawn at any time.